It’s not easy finding holidays that suit our family’s ever-expanding needs but having just returned from our first trip to Norfolk, I’m happy to say this is another place I can add to our list. For us, the countryside is one of the best places to go on family holidays. The wide open spaces and lack of bright lights and loud noises reduces the risk of overwhelm and meltdowns for the Bears. It seems to install a sense of calm in them and consequently we are able to relax a bit more. For the first three days of our latest trip we hired a house near Holt in North Norfolk, with some friends. We spent the second half of the holiday, just the four of us, in a chalet in Winterton-on-sea. The weather wasn’t great but we put on our waterproofs and had some fun days out. 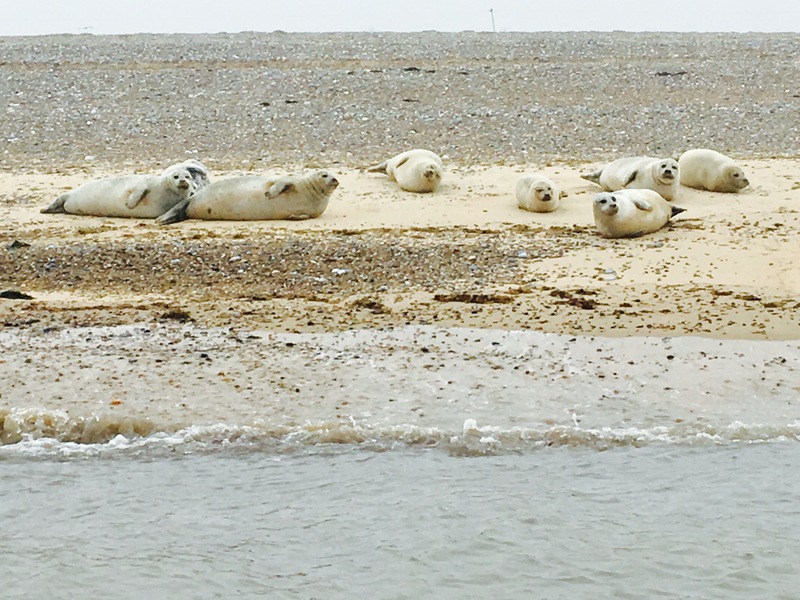 A boat trip to see the seals is one of Norfolk’s must-do activities – for both adults and children. 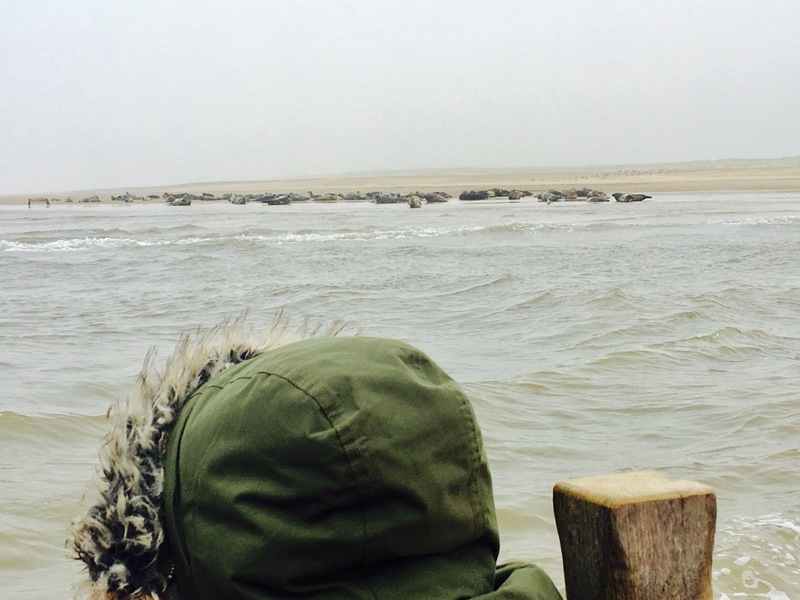 The colonies of common and grey seals are growing rapidly, which gives tourists the chance to see them for most of the year. There are lots of tour operators to choose from but we took a boat trip with Temples Seal Trips which I highly recommend for their great customer service. When Little Bear had a tantrum and refused to walk to the boat, the owner, Jane, persuaded him to keep walking to the point – a power that we clearly didn’t have. On the boat, Little Bear was keen to stroke the friendly labrador and the skipper, Derek, happily brought the dog to him several times for a cuddle. The waters are really shallow, which is reassuring for families. There was no way the Bears were going to let us have a whole holiday without going on a train. Luckily we were staying near Holt, the western terminus of the North Norfolk Railway, for the first part of our holiday. 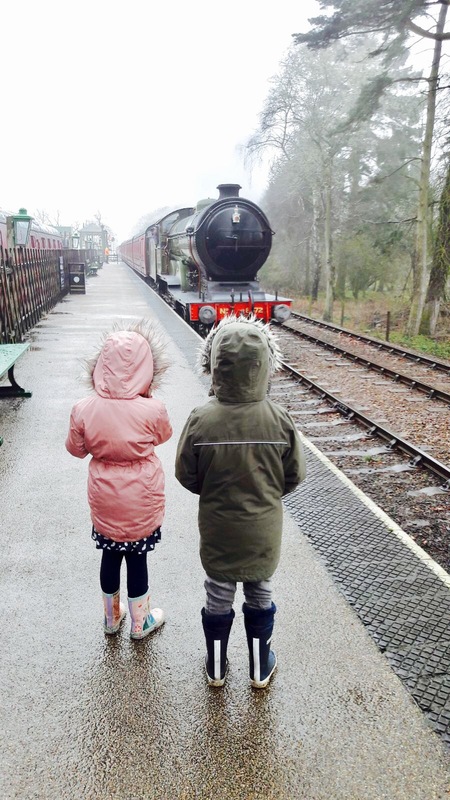 The North Norfolk Railway offers a 10.5 mile round trip by steam train through an area of North Norfolk designated as being of outstanding natural beauty. There are historic stations, a museum of the railway’s history, a museum signal box and a children’s activity carriage. There are also buffets and souvenir shops. We travelled to the seaside town of Sheringham, the railway’s headquarters.The station is ideally situated for you to take a stroll through the town and walk along the promenade before heading back on the train again. BeWILDerwood is a wild and imaginative adventure park and one of our favourite family days out in North Norfolk. We were one of the first families to arrive when it opened and one of the last to leave before it closed. 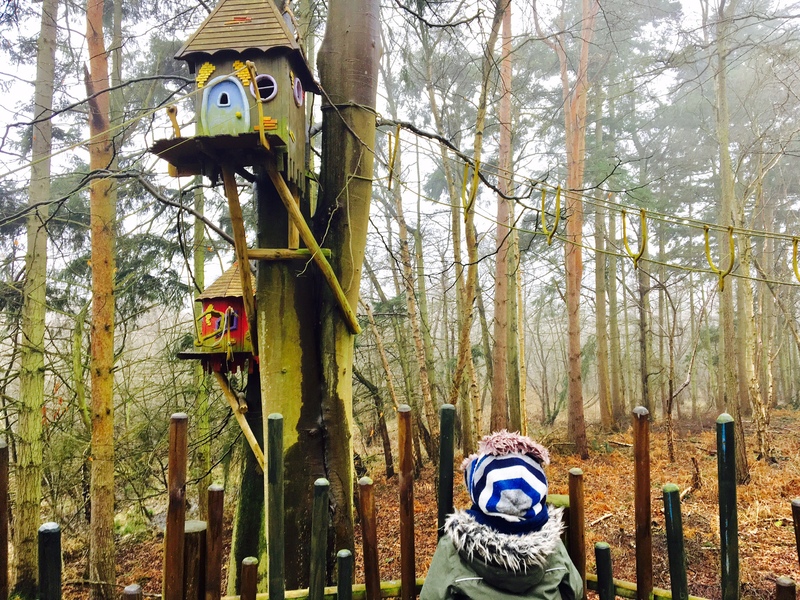 Set in forest woodland in Hoveton, Norfolk, it’s primarily aimed at children age five to 10 years old, although it has a fair few play areas for toddlers to enjoy and we saw plenty of older children having a great time too. Carers get in free with a Max Card. No trip to Norfolk is complete without a day at the beach. In our case it was Cromer on the only day we saw sunshine. Cromer is a traditional Victorian seaside resort, with a sand and shingle beach popular for swimming and surfing. When we arrived, we headed straight to No1 Cromer for fish and chips. 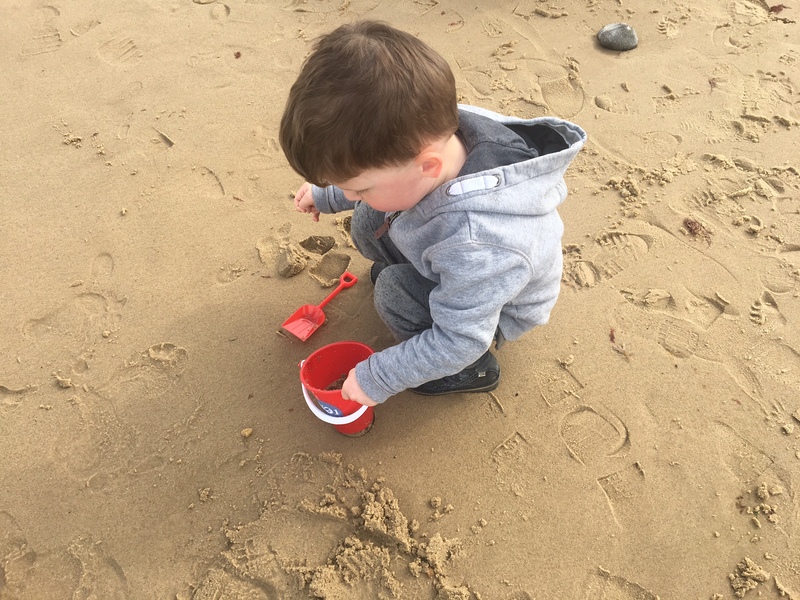 The restaurant and takeaway serves children’s meals with a bucket and spade you can take to the beach. We strolled along the sunny pier before settling down on the beach to build sandcastles, paddle in the sea and fly our kite. Hands-up, we didn’t actually go here but when we got home my friend asked if we’d been to Roarr! Dinosaur Adventure. She recommended it highly so it’s on our list for next time. 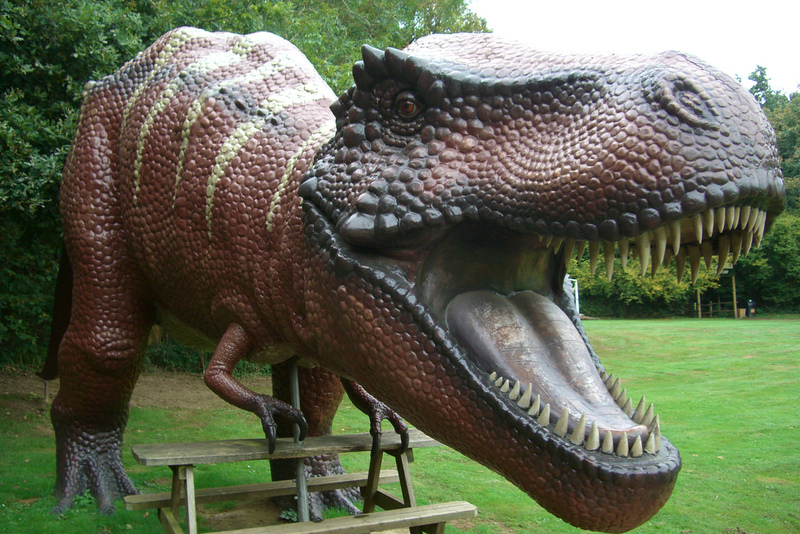 The attraction, in Lenwade, consists of indoor and outdoor adventure play facilities, a splash zone, dinosaur trails, animal garden and deer safari. It is going through a huge revamp process, which has included a name change, in order to develop and appeal to families of all ages.